Our friendly bumble Bee stress balls are buzzing with sales potential! These bee stress relievers are fun promotions to give-a-way at garden centers, nature programs and special events. 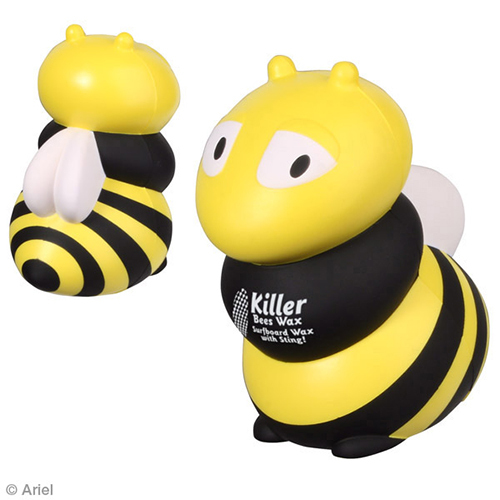 You can custom imprint a bee stress ball with a clever phrase or business message. Item Size : 2" x 3-1/2" x 2-1/2"
Imprint Area : back of head 7/8" x1/2"_ front (yel. pt) 7/8" x1/4"_ front (blk pt) 7/8" x 3/8"